Courtesy of Lake Pleasant Real Estate. Why wait for a new build, when everything you’re looking for is right here in this stunning Shea home with wood plank floors, gourmet chef’s kitchen loaded with custom cabinet pull-outs and built-in appliances. The split level floorplan provides the perfect level of privacy for the master retreat complete with super shower rain shower head and dual temp controls. Whole house sun screens keep you cool and your electric bill even cooler! Surround sound speakers and spacious great room make this such a functional space with zero waste! Large oversized lot is the perfect canvas! Directions: South on Estrella Pkwy to San Miguel, right on San Miguel Dr., left on Westar, right on 185th Ave, left on Acacia Dr. Approximate size: 7218.00 sq. ft. 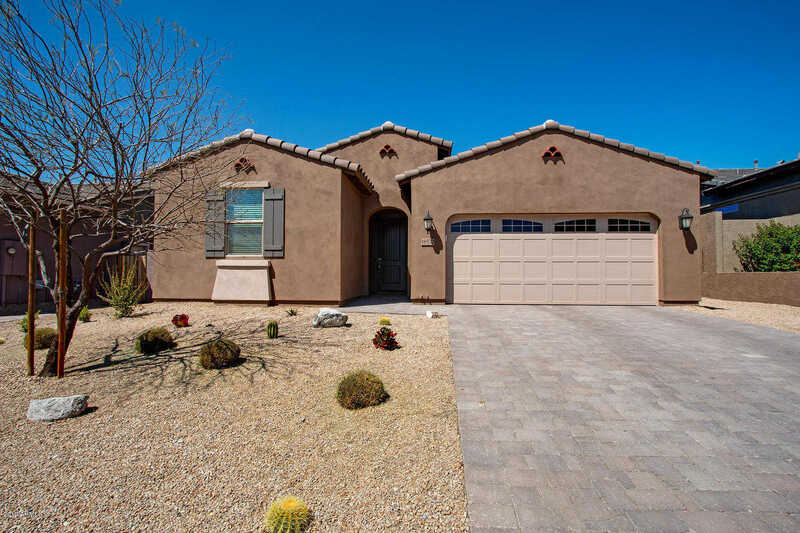 Please, send me more information on this property: MLS# 5907279 – $325,000 – 18570 W Acacia Drive, Goodyear, AZ 85338. I would like to schedule a showing appointment for this property: MLS# 5907279 – $325,000 – 18570 W Acacia Drive, Goodyear, AZ 85338.